Between 1639 and 1653, Scotland was involved in the Wars of the Three Kingdoms, a series of wars starting with the Bishops Wars (between Scotland and England), the Irish Rebellion of 1641, the English Civil War (and its extension in Scotland), the Irish Confederate Wars, and finally the subjugation of Ireland and Scotland by the English Roundhead New Model Army. The start. Riot sparked by Jenny Geddes over the imposition of Charles I's Book of Common Prayer in Presbyterian Scotland. Civil disobedience soon turned into armed defiance. Covenanters defeat Royalists but are themselves defeated by an English Parliamentarian conquest of Scotland in 1650–51. In Scotland itself, from 1644–45 a Scottish civil war was fought between Scottish Royalists—supporters of Charles I under James Graham, 1st Marquis of Montrose—and the Covenanters, who had controlled Scotland since 1639 and allied with the English Parliament. The Scottish Royalists, aided by Irish troops, had a rapid series of victories in 1644–45, but were eventually defeated by the Covenanters. The Covenanters then found themselves at odds with the English Parliament, so they crowned Charles II at Scone and thus stated their intention to place him on the thrones of England and Ireland as well. This led to the Third English Civil War, when Scotland was invaded and occupied by the Parliamentarian New Model Army under Oliver Cromwell. Scotland had helped to spark this series of wars in 1638, when it had risen in revolt against Charles I's religious policies. The National Covenant of Scotland was formulated to resist the King's innovations, particularly the Prayer Book. In practice, the Covenant also expressed a wider Scottish dissatisfaction with Charles's policies, especially the sidelining of Scotland since the Stuart Kings had also become monarchs of England in 1603. The Covenanters raised a large army from the dependants of their landed class and successfully resisted Charles I's attempt to impose his will on Scotland in the so-called Bishops Wars. The Scottish uprising triggered civil war in Charles' other two Kingdoms, first in Ireland, then in England. Charles and his minister Thomas Wentworth were unable to persuade the English Parliament, which itself was unhappy with Charles's civil and religious policies, to pay for an army to put down the Scots. As a result, they had proposed raising an army from Irish Catholics, in return for abolishing discriminatory laws against them. This prospect alarmed Charles' enemies in England and Scotland and the Covenanters threatened to invade Ireland. In response a group of Irish conspirators launched the Irish Rebellion of 1641, which quickly degenerated into a series of massacres of English and Scottish Protestant settlers in Ireland. This in turn sparked civil war in England, because the Long Parliament did not trust Charles with command of an army to put down the Irish rebellion, fearing that it would also be used against them. The English Civil War broke out in 1642. The Covenanters sent an army to Ulster in Ireland in 1642 to protect the Scottish settlers there. In 1644, following the signing of a treaty — The Solemn League and Covenant — with the English Parliament, the bulk of the Covenanters' armed forces were sent south to fight on the Parliamentarian side in the English Civil War. The Covenanters established a Presbyterian national kirk or church, Calvinist in doctrine; by 1640, less than 2% of Scots were Catholics, concentrated in places like South Uist, controlled by Clanranald but despite its minority status, fear of Popery remained widespread. While over 95% of Scots were members of the kirk, they were divided over structure i.e Presbyterian Episcopalian, with clans like the MacDonalds further split into Catholic and Presbyterian factions. Royalism was most prominent in the Highlands and the north-east of Scotland, due to a mix of religious, cultural and political reasons; Montrose switched sides because he distrusted Argyll's ambition, fearing he would eventually dominate Scotland and possibly depose the King.. Furthermore, the Highlands was a distinct cultural, political and economic region of Scotland. It was Gaelic in language and customs and at this time was largely outside of the control of the Scottish government. Some Highland clans preferred the more distant authority of King Charles to the powerful and well organised Lowlands based government of the Covenanters. Clan politics and feuds also played a role; when the Presbyterian Campbell, led by their chief, Archibald Campbell, 1st Marquess of Argyll, sided with the Covenanters, their rivals automatically took the opposing side. It should be said some of these factors overlap that spanned the Irish Sea: for instance the MacDonalds were Catholics, were sworn enemies of the Campbells, and had a strong Gaelic identity. Historian David Stevenson writes: "It is a moot point whether one should call the MacDonnells of Antrim Scots or Irish... To the MacDonnells themselves the question was largely irrelevant, they had more in common with native Irish and Scots Highlanders, with whom they shared a common Gaelic language and culture than with those who ruled them". Montrose had already tried and failed to lead a Royalist uprising by 1644, when he was presented with a ready made Royalist army. The Irish Confederates, who were loosely aligned with the Royalists, agreed in that year to send an expedition to Scotland. From their point of view, this would tie up Scottish Covenanter troops who would otherwise be used in Ireland or England. The Irish sent 1500 men to Scotland under the command of Alasdair MacColla MacDonald, a MacDonald clansman from the Western Isles of Scotland. They included Manus O'Cahan (an Irish cousin to MacColla) and his 500-man regiment. Shortly after landing, the Irish linked up with Montrose at Blair Atholl and proceeded to raise forces from the MacDonalds and other anti-Campbell Highland clans. The new Royalist army led by Montrose and MacColla was in some respects very formidable. Its Irish and Highland troops were extremely mobile, marching quickly over long distances — even over the rugged Highland terrain — and were capable of enduring very harsh conditions and poor rations. They did not fight in the massed pike and musket formations that dominated continental Europe at the time, but fired their muskets in loose order before closing with swords and half-pikes. This tactic was effective in such a wilderness and swept away the poorly trained Covenanter militias that were sent against them. These locally raised levies frequently ran away when faced with a terrifying Highland charge, and were slaughtered as they ran. From 1644–1645 Montrose led the Royalists to six famous victories, defeating covenanting armies larger than his own of roughly 2000 men (except at Kilsyth, where he led approximately 5,000). In the Autumn of 1644, the Royalists marched across the Highlands to Perth, where they smashed a Covenanter force at the battle of Tippermuir on 1 September. Shortly afterwards, another Covenanter militia met a similar fate outside Aberdeen on 13 September. Unwisely, Montrose let his men pillage Perth and Aberdeen after taking them, leading to hostility to his forces in an area where Royalist sympathies had been strong. In response to the attack on his clansmen, Archibald Campbell, 1st Marquess of Argyll assembled the Campbell clansmen to repel the invaders. Montrose, finding himself trapped in the Great Glen between Argyll and Covenanters advancing from Inverness, decided on a flanking march through the wintry mountains of Lochaber and surprised Argyll at the battle of Inverlochy (2 February 1645). The Covenanters and Campbells were crushed, with losses of 1,500. Montrose's famous march was acclaimed as "one of the great exploits in the history of British arms" by John Buchan and C.V. Wedgwood. The victory at Inverlochy gave the Royalists control over the western Highlands and attracted other clans and noblemen to their cause. The most important of these were the Gordons, who provided the Royalists with cavalry for the first time. Inverlochy was an important strategic victory for the Royalists, because the Scottish Covenanter army in England was ordered to send a proportion of their force north to help bolster the Covenanter forces in Scotland. This significantly weakened the Scottish army in England and it was only the lack of Royalist infantry and artillery in the north of England that prevented Prince Rupert from attacking them. 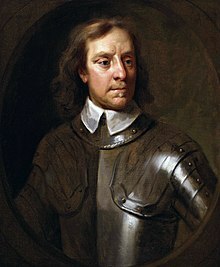 In April 1645, to hinder the northwards movement of English Royalist field artillery, Oliver Cromwell led a cavalry raid into the English Midlands. The raid was the first active operation carried out by the newly formed New Model Army. In April Montrose was surprised by General William Baillie after a raid on Dundee, but eluded capture by having his troops doubleback on the coast road and fleeing inland in a corkscrew retreat. Another Covenanter army under John Urry was hastily assembled and sent against the Royalists. At Auldearn, near Nairn, Montrose placed Macdonald and most of infantry in view of the enemy and concealed the cavalry and remaining infantry. Despite Macdonald attacking prematurely, the ruse worked, and Hurry was defeated on 9 May. Another cat-and-mouse game between Bailie and Montrose led to the battle of Alford on 2 July. Montrose confronted the Covenanters after the latter had forded the Don, forcing them to fight with the river at their back and on uneven ground. The Royalists triumphed and advanced into the lowlands. Bailie went in pursuit and Montrose waited for him at Kilsyth. During the ensuing battle the Royalists were inadvertently aided by Argyll and other members of the "Committee of Estates," who ordered Bailie to make a flank march across the front of the Royalist army, which pounced on them and triumphed. After Kilsyth (15 August), Montrose seemed to have won control of all Scotland: In late 1645, such prominent towns as Dundee and Glasgow fell to his forces. The Covenanting government had temporarily collapsed, paying for its over-confidence in defeating Royalist resistance. As the royally commissioned lieutenant-governor and captain-general of Scotland, Montrose used his powers to summon parliament to meet in Glasgow, but the limitations of his triumph soon became clear. King Charles was in no position to join the Royalists in Scotland, and though Montrose wanted to further Royalist objectives by raising troops in the south east of Scotland and marching on England, MacColla showed that his priorities lay with war of the MacDonalds against the Campbells and occupied Argyll. The Gordons also returned home, to defend their own lands in the north-east. Montrose, his forces having split up, was surprised and defeated by the Covenanters, led by David Leslie, at the battle of Philiphaugh. Approximately 100 Irish prisoners, having surrendered upon promise of quarter, were executed, and 300 of the Royalist army's camp followers — mostly women and children - were killed in cold blood. MacColla retreated to Kintyre, where he held out until the following year. In September 1646 Montrose fled to Norway. The Royalist victories in Scotland had evaporated almost overnight owing to the disunited nature of their forces. The first English Civil War had ended in May 1646, when Charles I surrendered to the Scottish Covenanter army in England. After failing to persuade the King to take the Covenant, the Scots finally handed him over to the commissioners of Parliament in early 1647. At the same time they received part payment for the service of their army in England, which then returned north. In 1646, Montrose left for Norway, while MacColla returned to Ireland with his remaining Irish and Highland troops to re-join the Confederates. Those who had fought for Montrose, particularly the Irish, were massacred by the Covenanters whenever they were captured, in reprisal for the atrocities the Royalists had committed in Argyll. Ironically, no sooner had the Covenanters defeated the Royalists at home than they were negotiating with Charles I against the English Parliament. The Covenanters could not get their erstwhile allies to agree on a political and religious settlement to the wars, failing to get Presbyterianism established as the official religion in the Three Kingdoms and fearing that the Parliamentarians would threaten Scottish independence. Many Covenanters feared that under Parliament, "our poor country should be made a province of England." A faction of the Covenanters known as the Engagers, led by the Duke of Hamilton, therefore sent an army to England to try to restore Charles I in 1648. However it was routed by Oliver Cromwell's New Model Army at the Battle of Preston. This intervention on behalf of the King caused a brief civil war within the Covenanting movement. The most hardline Presbyterians under the Earl of Argyll rebelled against the main Scottish army under David Leslie. The two factions came to blows at the Battle of Stirling in September 1648, before a peace was hastily negotiated. Charles was executed by the Rump Parliament in 1649, and Hamilton, who had been captured after Preston, was executed soon after. This left the extreme covenanters, still led by Argyll, as the main force in the Kingdom. A grisly souvenir of Montrose's hanging: His right arm (seen front and back) and sword. In June 1649, Montrose was restored by the exiled Charles II to the now nominal lieutenancy of Scotland. Charles also opened negotiations with the Covenanters, now dominated by the radical Presbyterian "Kirk Party" or "Whigs". Because Montrose had very little support in the lowlands, Charles was willing to disavow his most consistent supporter in order to become a king on terms dictated by the Covenanters. In March 1650 Montrose landed in Orkney to take the command of a small force, composed mainly of continental mercenaries, which he had sent on before him. Crossing to the mainland, Montrose tried in vain to raise the clans, and on 27 April he was surprised and routed at the Battle of Carbisdale in Ross-shire. After wandering for some time he was surrendered by Neil Macleod of Assynt, to whose protection, in ignorance of Macleod's political enmity, he had entrusted himself. He was brought a prisoner to Edinburgh, and on 20 May sentenced to death by the Parliament. He was hanged on the 21st, with Wishart's laudatory biography of him put round his neck. To the last he protested that he was a real Covenanter and a loyal subject. In spite of their conflict with the Scottish Royalists, the Covenanters then committed themselves to the cause of Charles II, signing the Treaty of Breda (1650) with him in the hope of securing an independent Presbyterian Scotland free of English Parliamentary interference. Charles landed in Scotland at Garmouth in Moray on 23 June 1650 and signed the 1638 Covenant and the 1643 Solemn League immediately after coming ashore. The threat posed by King Charles II with his new Covenanter allies was considered to be the greatest facing the new English Republic so Oliver Cromwell left some of his lieutenants in Ireland to continue the suppression of the Irish Royalists and returned to England in May. He arrived in Scotland on 22 July 1650, advancing along the east coast towards Edinburgh. By the end of August, his army was reduced by disease and running out of supplies, so he was forced to order a retreat towards his base at the port of Dunbar. A Scottish Covenanter army under the command of David Leslie had been shadowing his progress. Seeing some of Cromwell's sick troops being taken on board the waiting ships, Leslie made ready to attack what he believed was a weakened remnant (though some historians report that he was ordered to fight against his better judgment by the Covenanter General Assembly). Cromwell seized the opportunity, and the New Model Army inflicted a crushing defeat on the Scots at the subsequent Battle of Dunbar on 3 September. Leslie's army, which had strong ideological ties to the radical Kirk Party, was destroyed, losing over 14,000 men killed, wounded and taken prisoner. Cromwell's army then took Edinburgh and by the end of the year his army had occupied much of southern Scotland. This military disaster discredited the radical Covenanters known as the Kirk Party and caused the Covenanters and Scottish Royalists to bury their differences (at least temporarily) to try to repel the English parliamentarian invasion of Scotland. The Scottish Parliament passed the Act of Levy in December 1650, requiring every burgh and shire to raise a quota of soldiers. A new round of conscription was undertaken, both in the Highlands and the Lowlands, to form a truly national army named the Army of the Kingdom, that was put under the command of Charles II himself. Although this was actually the largest force put into the field by the Scots during the Wars, it was badly trained and its morale was low as many of its constituent Royalist and Covenanter parts had until recently been killing each other. In July 1651, under the command of General John Lambert, part of Cromwell's force crossed the Firth of Forth into Fife and defeated the Scots at the Battle of Inverkeithing. The New Model Army advanced towards the royal base at Perth. In danger of being outflanked, Charles ordered his army south into England in a desperate last-ditch attempt to evade Cromwell and spark a Royalist uprising there. Cromwell followed Charles into England leaving George Monck to finish the campaign in Scotland. Meanwhile, Monck took Stirling on 14 August and Dundee on 1 September, reportedly killing up to 2,000 of its 12,000 population and destroying every ship in the city's harbour, 60 in total. The Scottish Army of the Kingdom marched towards the west of England because it was in that area that English Royalist sympathies were strongest. However, although some English Royalists joined the army, they came in far fewer numbers than Charles and his Scottish supporters had hoped. Cromwell finally engaged the new king at Worcester on 3 September 1651, and beat him — in the process all but wiping out his army, killing 3,000 and taking 10,000 more prisoners. Many of the Scottish prisoners taken by Cromwell were sold into indentured labour in the West Indies, Virginia and Berwick, Maine. This defeat marked the real end of the Scottish war effort. Charles escaped to the European continent and with his flight the Covenanters' hopes for political independence from the Commonwealth of England were dashed. Between 1651 and 1654 a royalist rising took place in Scotland. Dunnottar Castle was the last stronghold to fall to the English Parliament's troops in May 1652. Under the terms of the Tender of Union, the Scots were given 30 seats in a united Parliament in London, with General Monck appointed as the military governor of Scotland. During the Interregnum, Scotland was kept under the military occupation of an English army under George Monck. Sporadic Royalist rebellions continued throughout the Commonwealth period in Scotland, particularly in western Highlands, where Alasdair MacColla had raised his forces in the 1640s. The north west Highlands was the scene of another pro-royalist uprising in 1653-55, which was only put down with deployment of 6,000 English troops there. Monck garrisoned forts all over the Highlands — for example at Inverness, and finally put an end to Royalist resistance when he began deporting prisoners to the West Indies as indentured labourers. However, lawlessness remained a problem, with bandits known as mosstroopers, very often former Royalist or Covenanter soldiers, plundering both the English troops and the civilian population. After the death of Oliver Cromwell in 1658, the factions and divisions which had struggled for supremacy during the early years of the interregnum reemerged. Monck, who had served Cromwell and the English Parliament throughout the civil wars, judged that his best interests and those of his country lay in the Restoration of Charles II. In 1660, he marched his troops south from Scotland to ensure the monarchy's reinstatement. Scotland's Parliament and legislative autonomy were restored under The Restoration though many issues that had led to the wars; religion, Scotland's form of government and the status of the Highlands, remained unresolved. After the Glorious Revolution of 1688, many more Scots would die over the same disputes in Jacobite rebellions. It is estimated that roughly 28,000 men were killed in combat in Scotland itself during the Wars of the Three Kingdoms. More soldiers usually died of disease than in action at this time (the ratio was often 3-1), so it is reasonable to speculate that the true military death toll is higher than this figure. In addition, it is estimated that around 15,000 civilians died as direct result of the war — either through massacres or by disease. More indirectly, another 30,000 people died of the plague in Scotland between 1645 and 1649, a disease that was partly spread by the movement of armies throughout the country. If we also take into account the thousands of Scottish troops who died in the civil wars in England and Ireland (another 20,000 soldiers at least), the Wars of the Three Kingdoms certainly represent one of the bloodiest episodes in Scottish history. ^ Harris, Tim (2015). Rebellion: Britain's First Stuart Kings, 1567-1642. OUP Oxford. pp. 53–54. ISBN 0198743114. ^ M. C. Fissel, The Bishops' Wars: Charles I's Campaigns Against Scotland, 1638–1640 (Cambridge: Cambridge University Press, 1994), ISBN 0-521-46686-5, pp. 269 and 278. ^ a b c d Stevenson 2004. ^ Stevenson 2005, p. 8. ^ Wedgwood 1998, p. 67. ^ Cowan 1995, p. 176. ^ Wedgwood 1998, p. 82. ^ Chisholm 1911, P. 412 § "Rupert's Northern March" and "Cromwell's Raid". ^ Cowan 1995, p. 237. ^ Baker 2005, p. 2. Stevenson, David (2004). "Graham, James, first marquess of Montrose (1612–1650)". Dictionary of National Biography. Oxford University Press. Retrieved 29 June 2017. Wedgwood, C.V. (1998) . Montrose. Stroud: Sutton.